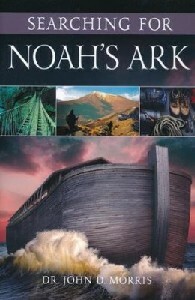 ~Noah's Ark played a leading role in the book of Genesis, but after safely carrying its passengers through the Flood, the Ark disappears from the pages of the Bible. What happened to it? Chronicling more than 45 years of personal accounts and offering geological, historical, and biblical evidence of the Flood, Searching for Noah's Ark will inspire you to take confidence in the Bible's historical accounts and its trustworthiness to us today.